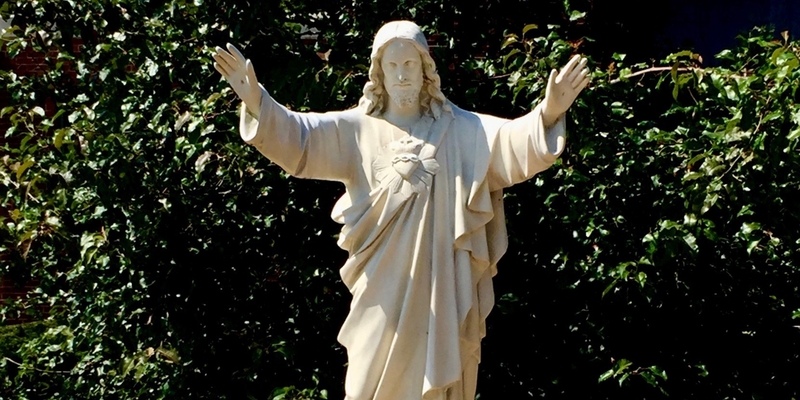 Sunday, April 14, Palm Sunday of the Passion of the Lord. Palms distributed at all Weekend Masses. 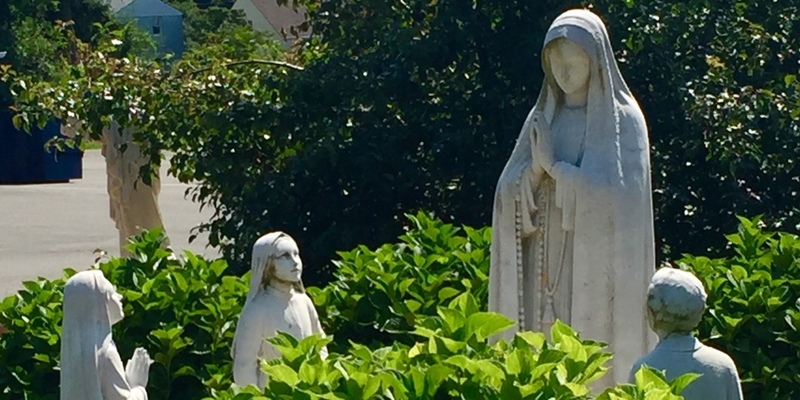 Monday, April 15 and April 22 Adoration of the Blessed Sacrament is cancelled. Religious Education Classes are Closed Monday April 15 and 22. 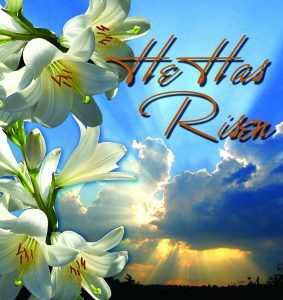 Have a Blessed and Happy Easter! Classes resume April 29. Tuesday, April 16 – The Ewing Knights of Columbus Council 3756 will meet in the Church Hall at 7:00 to 9:00 PM. Wednesday, April 17 – Confessions 6:30-7:30 PM. 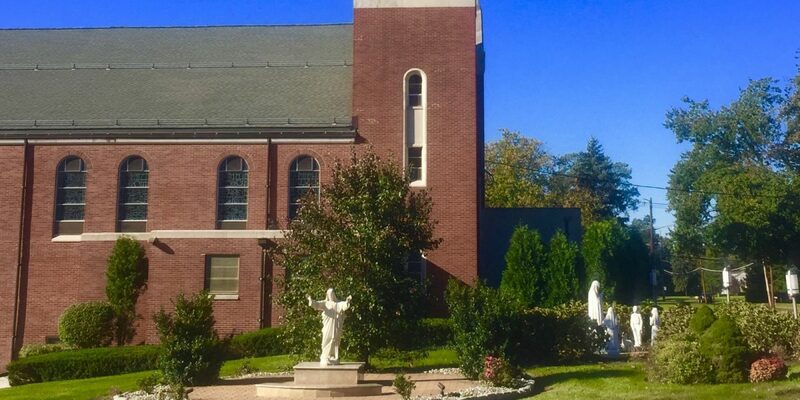 Thursday, April 18 – No Morning Masses permitted. Mass of the Lord’s Supper – 7:00 PM. Commemorates the last supper, with the washing of the feet of the Apostles and the Institution of the Eucharist. It concludes with a period of extended adoration of the reposed Blessed Sacrament for those who wish to stay. Adoration is until 11:00 PM. Good Friday, April 19, No Morning Masses permitted. Holy Saturday, April 20, No Morning Masses Permitted. Easter Vigil Mass 8:00 PM. your care and enfold us in your love. Guide our bishop. Inspire our priests, our deacons, our religious, and all of the faithful. Bless our families. Strengthen our parishes and schools. 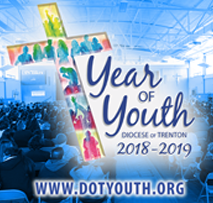 Make this be a time of grace for the young Church; a time of growth and renewal for all who take part in this Year of Youth. Send your Holy Spirit among us to awaken in our hearts the courage to live the joy of the Gospel in everything we do. We ask this through Christ, our Lord. Amen. 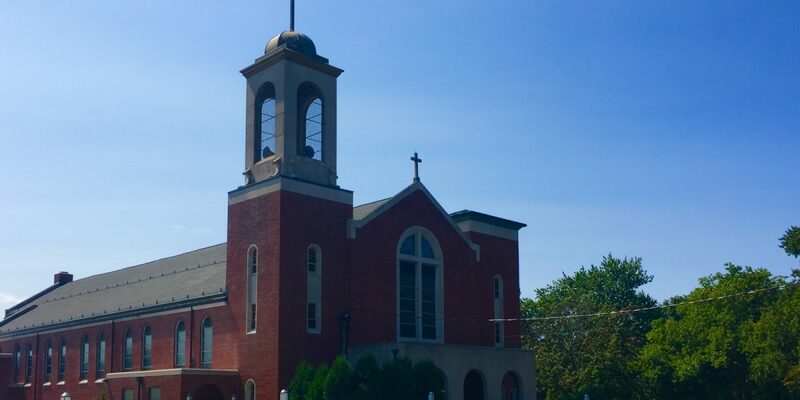 The Diocese of Trenton is committed to the initiatives outlined in the U.S. Bishop’s Charter for the Protection of Children and Young People in regard to the reporting and investigation of sexual abuse allegations involving minors. If you have been sexually abused as a minor by a member of the clergy or anyone representing the Catholic Church, or if you know of someone who was, you can report that abuse through the diocesan Abuse Hotline. 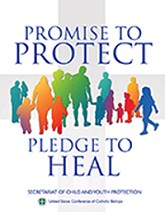 To report the sexual abuse of minors call our hotline 1-888-296-2965 or email us at abuseline@dioceseoftrenton.org. We are collecting any unused/unwanted items/gifts for a silent auction during the Feast Day Dinner. Please place these items on the designated table downstairs. Thank you. Any questions, ideas, please contact: Mary Pat Voorhees, 570-290-2373 or sistermaripat@hotmail.com.